I care about my customers. I am here to offer you that personal touch you’ve been looking for. On this site, I will both present my experience and promote my installation services so your window covering project can be simple and stress-free. In the window fashion industry, the possibilities are limitless. 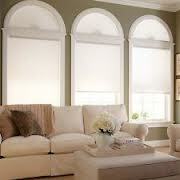 Selecting an appropriate window treatment is certainly not an everyday task though - and it can be quite complex. Varying costs, sizes, materials, and designs are all over the web (as well as sales promotions). My goal is to inform and work with you to determine which window treatments will work best for your window covering project, and to save you money on the measuring & installation cost of those window treatments. I will work with you to make your window covering project a worry-free process. Reliability in measuring, installation, and repairs is my focus. As my customer, you can count on prompt and honest service. No matter where the blinds, shutters, shades, rods, or draperies are purchased, I will happily ensure that they are set up properly. Have confidence that your window treatments will be measured and installed by a professional with 30 years experience servicing most of Southwest Florida (Manatee, Sarasota, and Charlotte counties primarily). Contact me by telephone or through this form, and let's do business soon! At Barry P. Vermeychuk Professional Window Coverings and Treatments, I take care to provide my customers with high quality services personalized for their unique needs. I am available to take your order 24 hours a day, 7 days a week, by email or phone. I primarily service Manatee, Sarasota, and Charlotte County, as they are within reasonable driving range. If you have a request in Collier or Lee County, there may be an additional travel fee incurred. If you have any questions concerning deliveries, requests, or prices, please don't hesitate to contact me. If I am not there, please leave a voicemail. I do my best to respond to all messages as quickly as possible. Once again, thank you for your business! Barry P. Vermeychuk has operated out of Venice, FL as an independent window treatment installation service for 30 years. He has been servicing Southwest Florida (Palmetto, Ellenton, Laurel, Parrish, Bradenton, Sarasota, Osprey, Nokomis, Venice, North Port, Englewood, Port Charlotte, Punta Gorda, and even Naples/Marco Island) since being established in 1984. After being trained by an installer with over 20 years of experience, I was given the opportunity to work as a private contractor for J.C. Penney. For over 25 years I served as their 'go-to guy', recieving referrals for most of their local clients. I have measured and installed thousands of various window covering treatments for both residential and commercial clients, many times installing for same client as they upgraded or relocated over the years. My goal is simple: to provide you with a professional window covering measuring & installation service at the most reasonable cost. In addition, I can perform certain window covering services that other companies won't provide, or only offer when you purchase their products. Although I can personally sell you window treatments, sales are only a small part of the whole picture. Prompt, professional service is my bottom line. Furthermore, I want to promote the emphasize that the internet is a reliable and trusted source for window treatments. The variety in pricing, style, and quality is limitless. Selecting the person or team to apply the work to your home, though, is the important step. Above all, you deserve to know that you are working with a true professional installer. 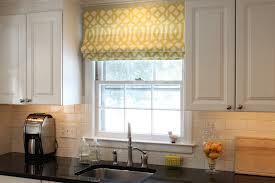 One who cares and has the experience to handle your window covering project. Properly. Also, take a look at my Customer Reviews and see what many of my customers have to say. "Barry was very professional and courteous. I would definitely recommend him to anyone that needs installation of blinds, etc. Thank you for making this a most pleasant experience." "He was very knowledable and helpful, I would recommend to all." "Buying online but having a pro installer is absolutely the way to...all the convenience of custom at a small fraction of the price." "The installer Barry was very professional and expert in his performance. I was very happy with Barry and I would highly recommend him to others." "Barry is an excellent professional! He gave us great advice and his work is impeccable!" "Overall, satisfied with installer and would use his services again." "Barry did a wonderful job and was very professional. I will certainly recommend him!" "Barry is great & very professional"
"Exceptionally good work. Very pleasant experience. I recommend Barry Vermeychuk highly." "Very prompt and professional. Pleasure to work with. Blinds work great." "Barry was very efficient and reliable. He measured and installed the blinds and they look terrific." "Great job - professional service"
"Barry did an outstanding job! Very professional, knew exactly what he was doing. I would highly recommend him to everyone." "Prompt, professional, would highly recommend." "Friendly, on-time, quick, very competent...excellent service!!!" "Total pro. Went above and beyond to provide a professional installation. Maximum attention to detail but efficient. Would definitely use again"
"Barry was accomodating in every way including ease of appointment & timliness, his service price is very reasonable, his experience shows and overall a nice person to work with." "Barry did an excellent job and I would recommend him to any of our friends needing the services he offers. He's a real professional." "Barry was a pleasure to work with. He not only installed blinds correctly, he also had suggestions regarding problem windows in my home. The next time I move, I will call him again!" "I thought Barry did an excellent job." "Barry was very responsive to inquiry and installed my blinds in the most courteous, efficient, and professional manner." "Barry is a consummate professional, I would certainly use his services again, and recommend him for this service to others." "He was very professional, neat and clean. Went right to work and got the job done in a timly manner." "Barry was outstanding - very accomodating and a pleasure to work with...."
"Barry is a professional. He is efficient and very nice. 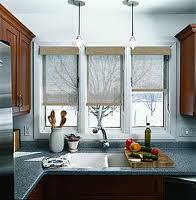 I would recommend him to anyone that is interested in having their blinds installed." "Barry was professional, courteous, and truly an expert in blind installation. Saying that I was pleased is an understatement! As far as I am concerned, Barry is the best there is!" "Great job. On time and good." 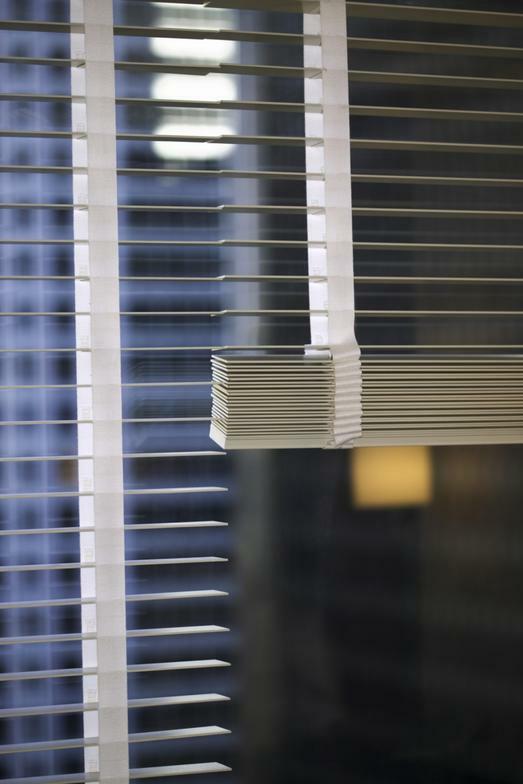 "Would not have purchased blinds online if it had not been for the installer. He was the most professional person we have had to work in our home. He was knowledgeable and did a execellent job in a very short time. He took all of the packing boxes away and very clean. He was very prompt and I will recommend him to anyone." "Barry was professional, prompt and courteous...on a scale from 1-10 he was a 20!" "Barry was great to work with and prompt and helpful due to the hectic schedule and some delays with our contractor." "If it weren't for Barry I probably would not have purchased the blinds. He was very helpful & professional." "Barry did a great job, and coordinated meeting us at an out of town site. He was prompt, professional and cordial. He was very tidy, cleaning up after himself as he went and taking all the boxes and packing material with him." "Barry went out of his way to ensure customer satisfaction coupled with the highest level of installation quality anybody could expect. No need to look elsewhere in SW Florida." "Excellent Job will use his services again!" "Barry was very helpful and accommodating. One of our curtain tracks did not arrived as scheduled, but Barry returned the next day to finish the installation, adjusting his schedule for our convenience. We would love to work with Barry again if the opportunity arose!" "He made many helpful suggestions during the selection process. He was prompt, courteous and professional during the measuring and installation." "Barry is extremely professional and does a great job." Barry P. Vermeychuk is an Insured, Independent Window Covering and Treatment Installer.